I love being a Mom and I take my job as a Mom seriously. I feel like it is my responsibility to help my children explore their interests, learn new things and support them along the way. As a Mom of a 3 year old and a soon to be 11 month old, that means I'm playing a lot of "tractor", "boat" and "rocket ship", and encouraging my kids to take many first steps, literally when talking about my daughter MP. One thing I'm cognitively making an effort right now to do with my son LP is to teach him letters and numbers. Count Out Loud and Often: We count the number of stair steps we take, the number of bananas we buy at the grocery store, the number of books we check out from the library, etc. 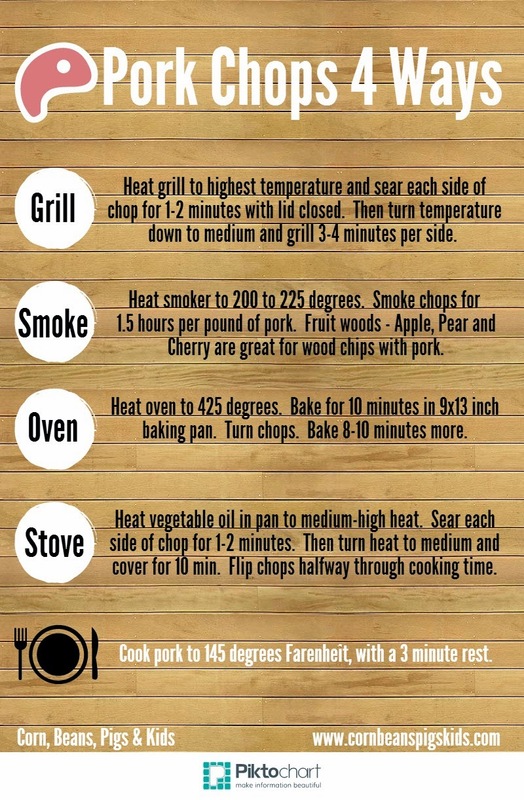 You can find ways to count everyday! Sing Songs: Along with singing the "Alphabet" song with your toddler, also sing songs like "Five Little Monkeys", "One, Two Buckle My Shoe", etc. LP learns really well through song. Read Books: Read alphabet books such as Curious George's ABCs , Alphablock, and Chicka Chicka Boom Boom and counting books like 1 Little, 2 Little, 3 Little Elephants, 5 Busy Ducklings, and Butterfly Colors and Counting . Print Worksheets: There are tons of websites available that have free number and letter worksheets. 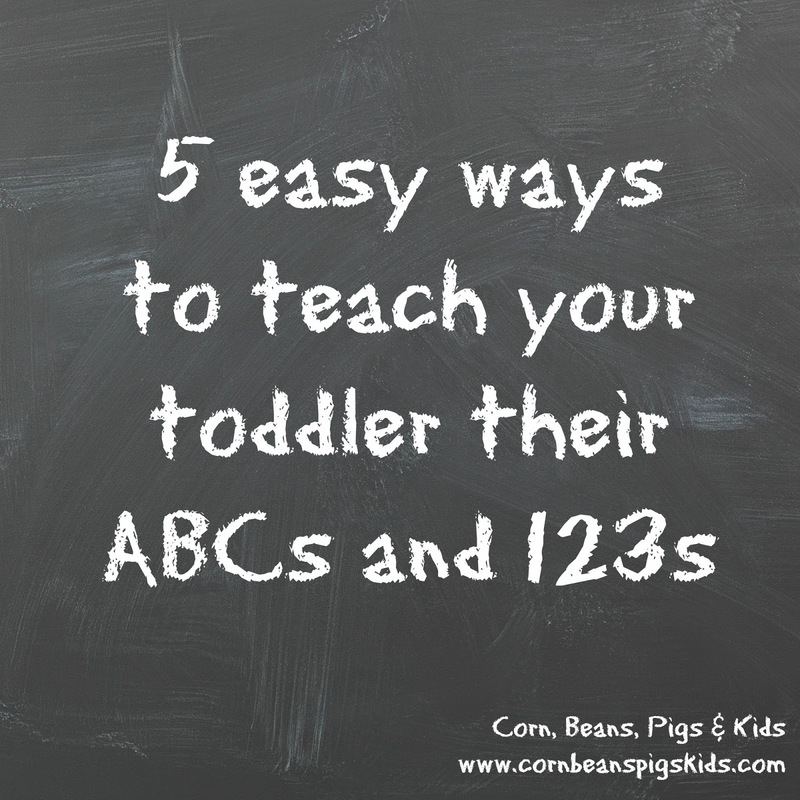 My favorites are from Parents magazine: alphabet worksheets and number worksheets. Bath Letters and Numbers: Incorporate some "learning time" into your next bath routine with these fun Bath Letters and Numbers from Nuby. 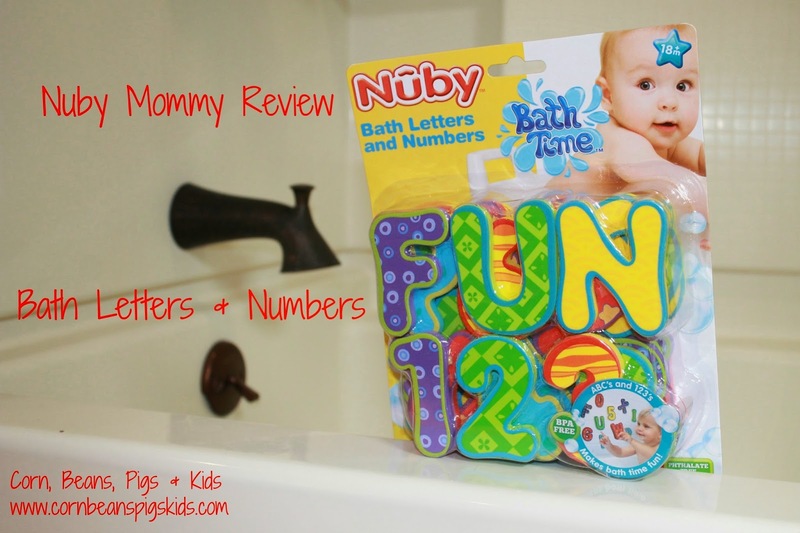 Nuby's Bath Letters and Numbers are a great bath toy to add to your collection. Both LP and MP enjoy playing with them, as they float in the bath tub and easily stick to the walls of the bath tub after they get wet. 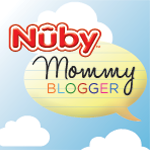 Also, be sure to check out my Nuby and my "Learning Time" Pinterest boards for more ideas. I have talked several times about my love of reading, not only for my children, but for myself. I have to admit, a few years ago I would describe myself as a light and maybe even a non-reader. The only "reading" I got in was listening to books on CD while traveling with my job. After LP was born I started reading to him right away because I knew how important it was. However, I still wasn't reading that much for myself. I loved reading but I just wasn't finding time for it. I knew I couldn't expect my kids to find time and enjoy reading if I wasn't. So, that is when I decided to start making time for reading and now reading and advocating for reading and literacy has become one of my passions. I shared that passion for reading last night by passing out 20 free copies of "Wild: From Lost to Found on the Pacific Crest Trail" by Cheryl Strayed as part of World Book Night. World Book Night is a program where 25,000 volunteers across the country pass out a half a million books to "spread the love of reading, person to person." This initiative started three years ago with the goal of getting books into the hands of people, like myself a few years ago, who are light and non-readers, and encourage them to read a book. World Book Night happens on April 23 every year, in observation of William Shakespeare's birthday. The team at World Book Night works with countless publishers, authors and agents to get specially printed World Book Night editions of many books. This year there were 36 books passed out. Getting ready to go pass out "Wild"
Originally I had planned on passing out my books at the sight of the future Latimer Little Free Library to create awareness of the library, but with temperatures in the 40s and rain in the forecast, I decided to not stand outside and instead stop in at the Latimer grocery store, restaurant, auction house and truck stop to pass out my books. And just like that, in 1 hour I had passed out 20 books and got to talk to familiar and new faces. I am so proud to be apart of this program and love the reaction for the people who receive the books. The first reaction is "free, this is really free!". The second reaction is "this is so cool". And the third reaction a lot of time is "I should start reading this tonight. Thanks!". For me, "Wild" was an easy sell since the book is being turned into a movie to be released this fall staring Reese Witherspoon. "Wild" is memoir of the author's 1,100 mile hike on the Pacific Crest Trail crossing the Mojave Desert, California, Oregon and Washington after her Mom passed away and while she is in a failing marriage. Strayed was in her mid-20s when she took this journey and she compiled journal entries to create this book. The book is a biography/drama with a little bit of humor mixed in. The first year I passed out copies of "Friday Night Lights: A Town, A Team, And A Dream " by H.G. Bissinger to and through my high school youth group and the second year I passed out copies of "Bossypants " by Tina Fey at the local truck stop to travelers from the interstate. Have you heard of World Book Night? Have you been a giver or a receiver of a World Book Night book? Remember to Comment for a Cause! 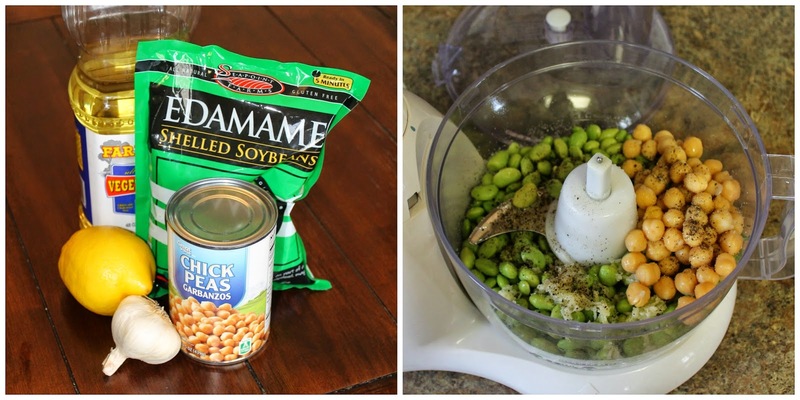 Happy April 1st everyone - remember to watch out for April Fools' Day pranks today! 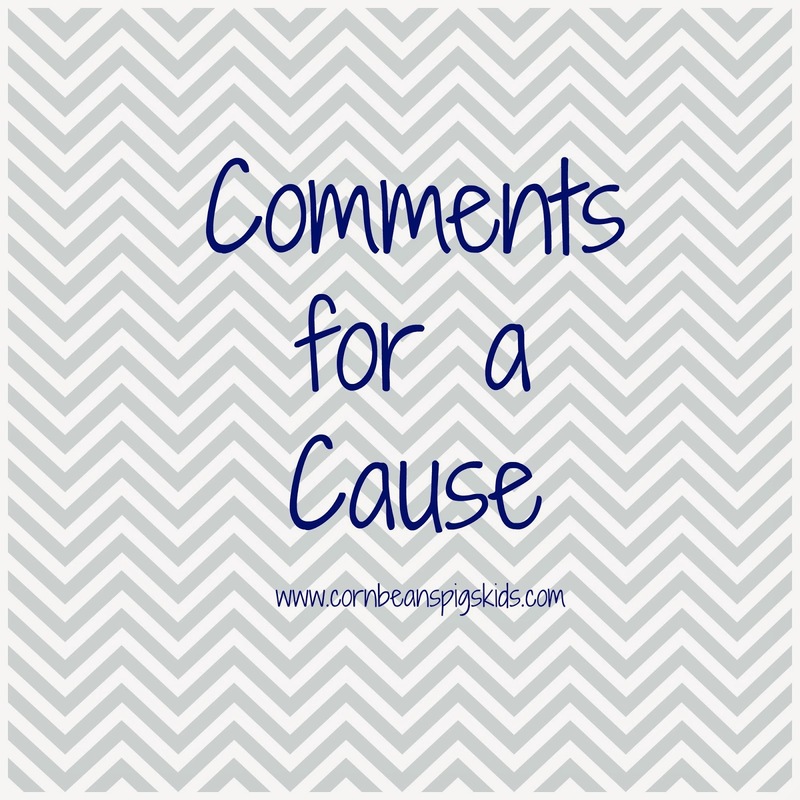 No prank here, it is a new month which means it is time to give my Comments for a Cause results from the past month and introduce a new cause. So, first thing first, in the month of March I had 51 comments, equaling $25.50 to the North Central Iowa Ag in the Classroom program! 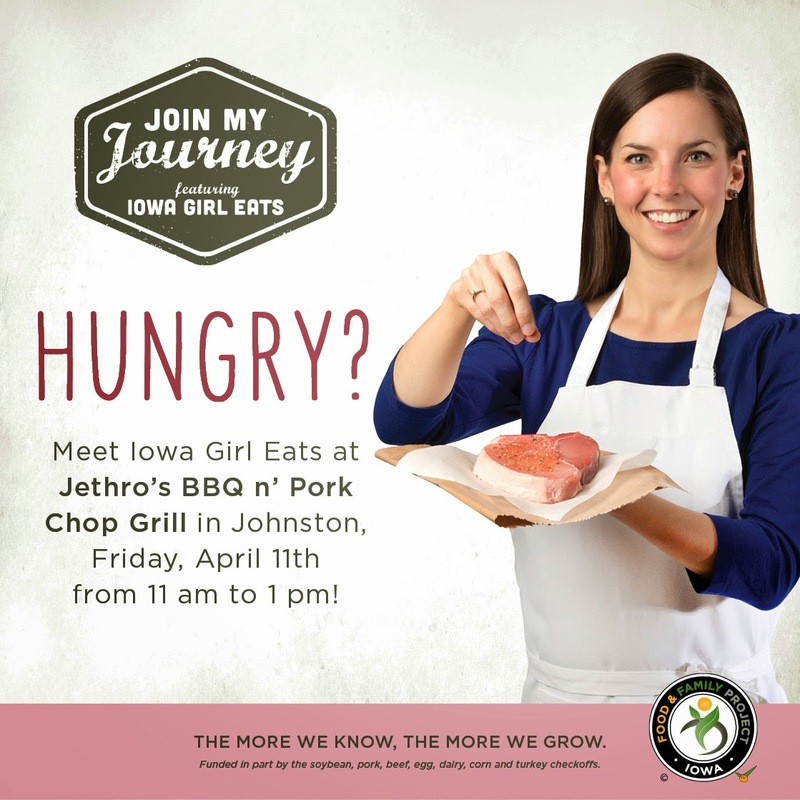 I am so happy that I'll be able to make this donation to such a great organization working so hard to increase agriculture awareness and literacy to over 9,000 students in North Iowa annually. In July, most of my family will be traveling to Honduras as part of a short term mission trip. We will be staying at the Honduras Children's Home and will be serving alongside them for a week doing things like painting, serving meals, loving on children, playing games, Vacation Bible School (VBS) and general outreach. Honduras is on of the poorest countries in the Western Hemisphere! The country is about the size of Tennessee and has around 7.9 million people. Approximately 64.5% of the people live below the poverty line. Facts about my family: Veronica (12), Jon (8), Halleah (7), Matty (6) and Matt and Jantina are going. Our youngest son, Barak (4), is staying home. We are full of hopeful anticipation about this trip! About Honduras Children's Home: The Children's Home currently houses 15 children, ages 5-17. They all attend public school, share in the chores around the grounds and participate in daily Bible stories. 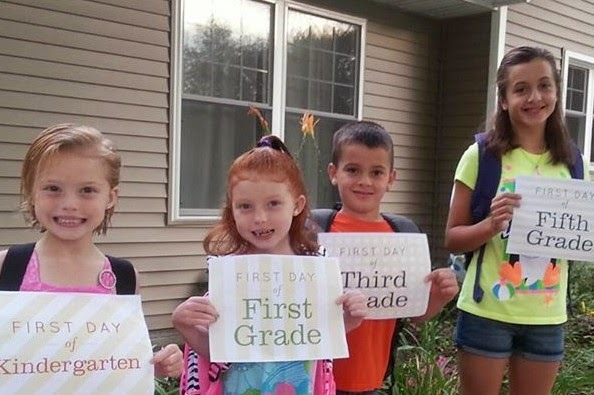 The children do their homework and house chores before participating in their favorite activities, playing in the playground or on the soccer field. They have a number of buildings on the property and God blessed them with their own church building, which was finished in January 2008. The building is used for worship and fellowship, as a cafeteria for the people who live there, as well as for the popular feeding program. It also serves as a clinic for our annual medical/dental team visits. The school building, which doubles as Sunday school classrooms, was completed in 2012 and has an office, six classrooms, girls and boys bathrooms, and a garden for the children to maintain. Lastly, they have their own water well. The well system stretches 195 feet underground and has an output of 50 gallons of water per minute. Asking for financial support is difficult. As a family we do not believe in any free rides, so we take this trip and our fundraising efforts very seriously. And yet, God reminds me time and time again, that we are a body. While we are called to travel and do action, He is preparing the way and calling others to give prayers and financially. And frankly, to stand in the way of God, because I am prideful and want to take on the risks myself, well, it just seems foolish. We are humbled and thankful to be featured as the Comments for a Cause for April. To be chosen among the many great groups and organizations that you highlight is truly an honor. Thank you. If you feel led to give toward support of this trip, you can make your checks out to Prairie Ridge Church and mail them to the church with an accompanying note explaining for whom the funds are given and that it is for the July Honduras Trip. The church address is: Prairie Ridge Church, Attn: Dan S., 825 NW 36th Street, Ankeny, IA 50023. Or access our gofundme site. As of the end of March we have $800 left to raise. So be sure to Comment for a Cause this month to help this family and their church's mission efforts in Honduras. 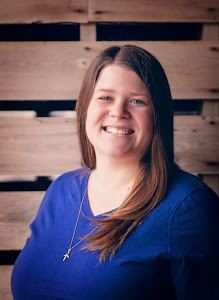 Also, be sure to check out Jantina's blog as she write beautiful, heartfelt posts on parenting, fostering, adoption, her family's faith journey, and life in general! Have you ever participated in a Mission Trip? Where did you go? What feelings did you feel while on the mission and afterwards?